Although it might not rival WordPress in terms of popularity, MODX is nevertheless one of the most widely-used content management systems in the world. Perhaps the primary reason the latter doesn’t eclipse the former is tied to ease of use. 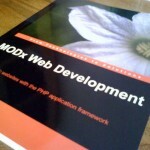 MODX tends to be a touch more difficult to use than WordPress, which is one of the simplest no-fuss platforms online.